2009 brought about a great wave in terms of interest in Holland Lops. 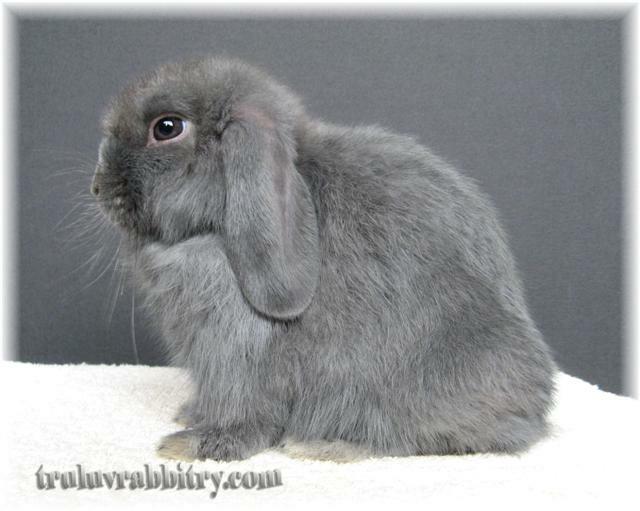 Like mushrooms sprouting throughout the nation, every lop ear rabbit is labeled as a HOLLAND LOP. Let me just share with you a photo I took at a famous pet shop on the eve of Christmas eve. Who to blame? I say you and I, WE have a role in the death of this poor bunny. We all know the simple facts of business – demand & supply. In the midst of fulfilling demands, edges are cut to earn a little more. DISPOSABLE is what rabbits are today! 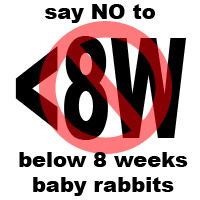 Just like a novelty toy, a rabbit is so disposable because it is cheap. It is alright to have them die because there are many more available out there! At the front of this renown pet shop, it is WRITTEN big and clear – WE CARE. And it also has something seemed to be the 10 commandments of the advantages of having PETS and “teaches children responsibility” is one of them. They won’t be any responsibility lesson if the poor pet keeps on dying on the poor child! Yes, my friends. all our hands are tainted with blood because of this LUST for MONEY. It is a vicious cycle. 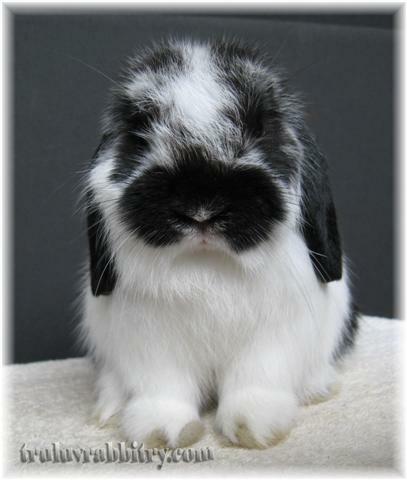 2009 again saw a year of great demand for Netherland Dwarfs, Dwarf Hotots and Holland Lops. Did we fail in our execution in marketing and awareness? Is there an imbalance between education and money making? Did we not get the message across clearer than before? Between year 2007 & 2008, we covered the basics in the local forums. We were shouting for HAY and brands like OXBOW. So we have them today. Today, a few days before 2009 ends, I cannot help but to feel that the road ahead is much more treacherous than before. Indeed, we need to find a balance to the force. 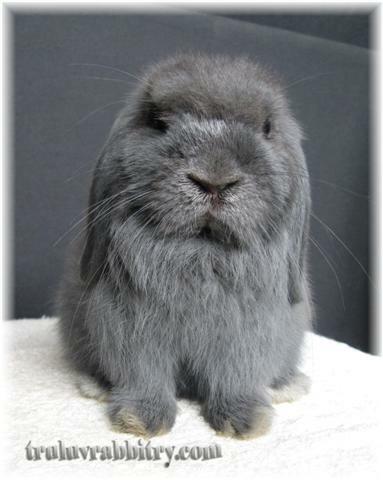 Breeder wannabes are labeling their lop ear rabbits as Holland Lop just like how once someone did that and have caught so many unaware. Ill informed men and women who are blinded by mere “cuteness”. How are we to deal with this? You see, like the earth, we need to find balance. I have raise this point many times and I am writing it again. We are about to overpopulate our country with rabbits. What QUALITY of rabbits do we want to see in our future? Do we settle merely for what we call “PET” quality or do we strive to do better? Many local rabbit weblogs stated very clearly that “Animals are creation of God, and we govern over them”. Yes, we govern over them and we must decide what GOOD we make of them! Even the cow has got good use for its meat! 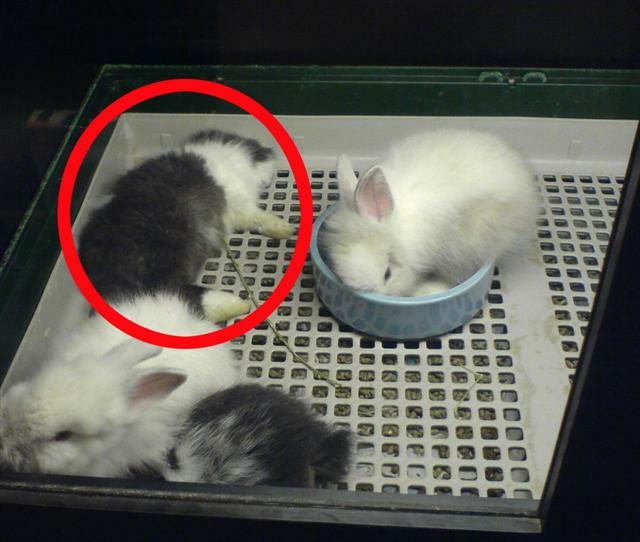 Do we allow our beloved pets to live in filth to be bred in horrendous conditions? For the past 2 days, after a long time not wanting to visit some depressing local rabbit weblogs, I browse through a few of them and I couldn’t help but to feel really disappointed that we are indeed back at square one. We all hope that these wannabes do the RIGHT thing. My wife puts it in very simple perspective. Everyone can afford to stay in any hotel but not everyone can afford staying in a BOUTIQUE hotel. 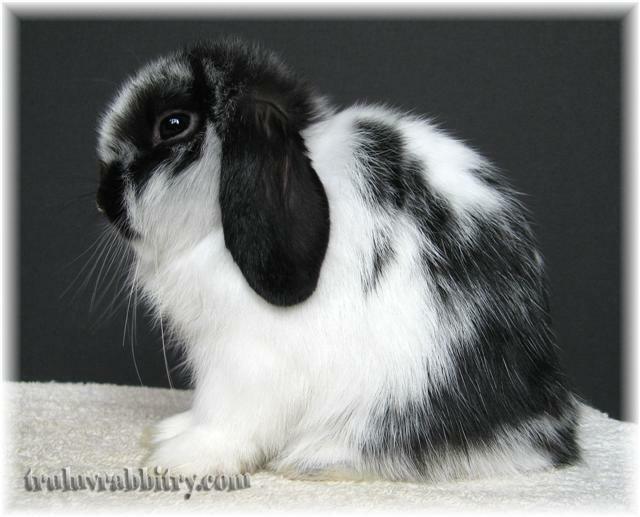 Applying that to the world of rabbits, it would mean that everyone can own a Holland Lop but not everyone can own exclusive purebred Holland Lops! 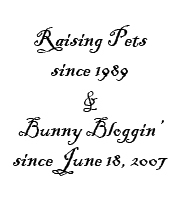 I am indeed glad Tru-Luv Rabbitry has not bred many rabbits in year 2009 but for each bred and raised here, they are at least of decent quality. QUALITY NOT quantity my friends. Whether you like it or not, I love to brag because in bragging, someone else will find it hard to accept and in that, I hope they improve! Tolong jangan DENGKI & JEALOUS! 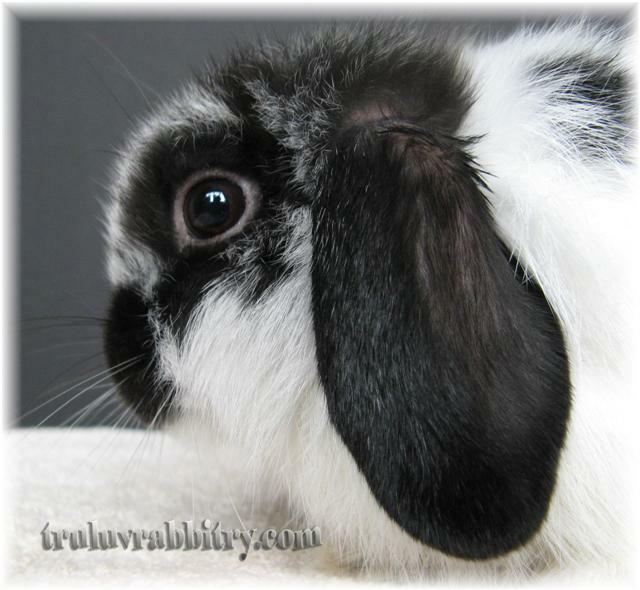 Stop believing hearsay about what rabbit should look like. Go get a copy of the Standard of Perfection from the organization of your CHOICE and compare that with your stocks. If they aren’t close enough, you should just stop whatever you are doing! That’s if you are working with purebred. But then again, there isn’t any in betweens because in my books, a breeder’s 1st objective is defined with only 1 word, IMPROVEMENT. Ask yourself what is there to improve in your breeding program and that will spark off the first notion of awareness. Move on to seek clarification and embrace CHANGE! I love each and everyone of my rabbits whether they are with me or those that I have shared out with fellow enthusiasts. I look at them and my troubles go away and in my heart, I could tell the wannabes, YOU WILL NEVER BE ME! Here’s Balian and Sibylla, bidding everyone Happy New Year 2010! My dear friends, the #1 2010 Resolution for me is indeed to again EDUCATE the general public how it is like to find a responsible breeder and to avoid BACKYARD BREEDERS. no more words to say..2 thumbs up for you my friend! that’s why my friend, you must post everyday to warn us and to give us information what we need to become responsible pet owner. like I always say, we know how to treat people if we know how to treat animal.